I’m very glad that I’m not inundated with leaves each autumn. Although we’re almost surrounded by trees, they are too far away for most of their leaves (but not their seeds) to land in the garden. 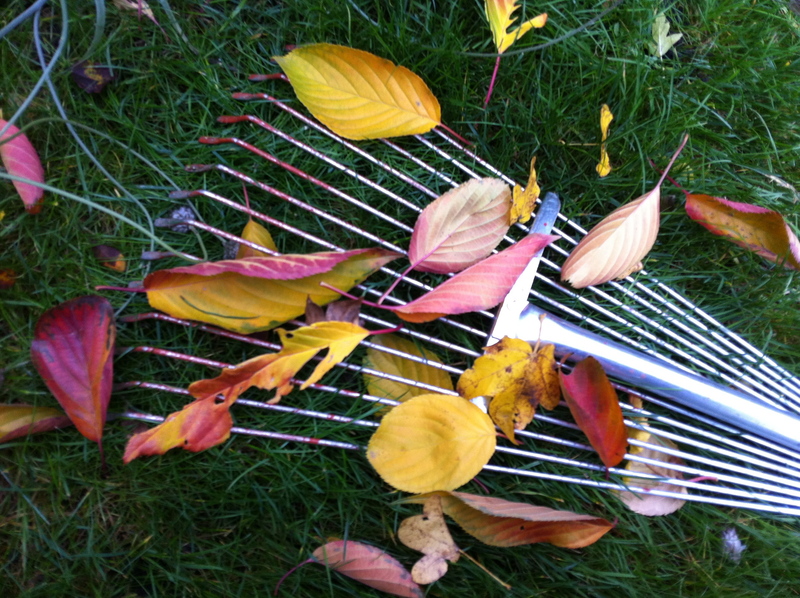 However, I do occasionally rake up the leaves and pile them on the small compost heap. The ornamental cherry in the corner of the garden is the main culprit at the moment and is loosing its leaves rapidly, just as it looses its blossom in fact. I had a go at raking most of the leaves off the grass and then went off to do a couple of other jobs and in the meantime, more leaves fell to replace those taken away.